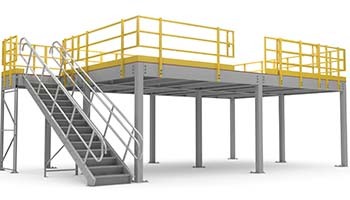 We are also recognised for manufacturing quality mezzanine floors, support steelwork and integrated mezzanine solutions, with over 25 years’ experience supplying through a professional network of distributors. We use the latest CAD technology. 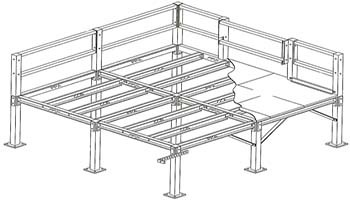 This, coupled with the talents of our highly experienced design team, means that we are able to precisely match customer requirements, offer competitive quotations, abridged lead times and thorough control over the quality and delivery of its products. 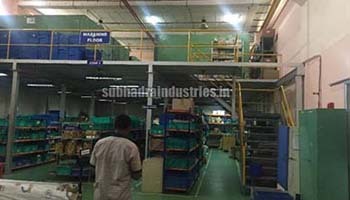 Subhadra Industries has designed, manufactured and installed mezzanine floors for all kinds of applications, automated warehouse, distribution, commercial office, production, retail, storage. Our portfolio includes numerous large, well-known and respected companies, including J.K Tyres, Mahindra Aerospace, SCJ Polybatch, Moog Controls, ETA Mall and many more.